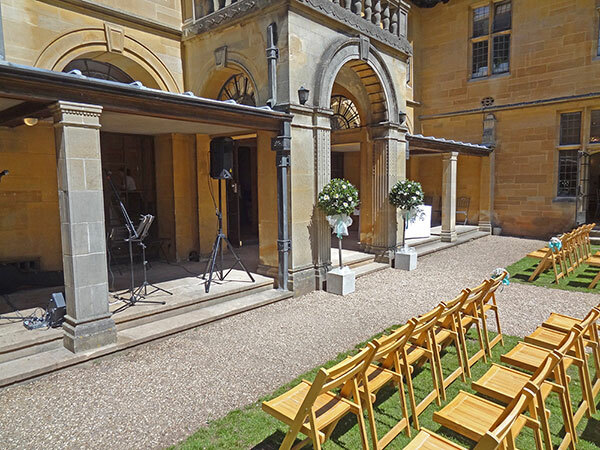 Saturday, 23rd May 2015 – a trip down to the incredible Coombe Lodge for Vicky and Scott’s big day. 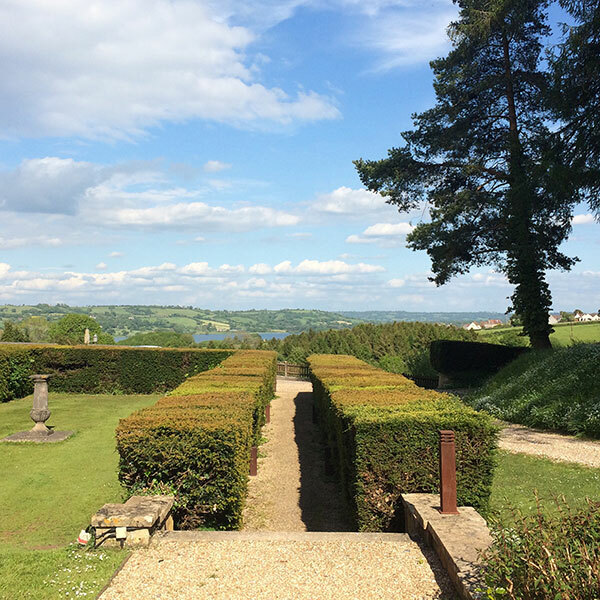 Summer so far in Britain has been a bit of a let-down, but thankfully we were blessed with incredible weather – hot and sunny! 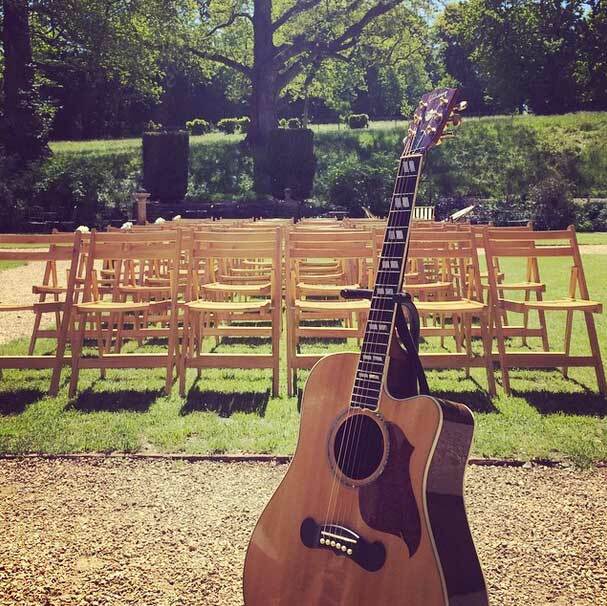 Thank to the lovely weather, the wedding ceremony took place outside, and I set up my gear near the front entrance to the venue – ready to play some acoustic music at the ceremony and following drinks reception. 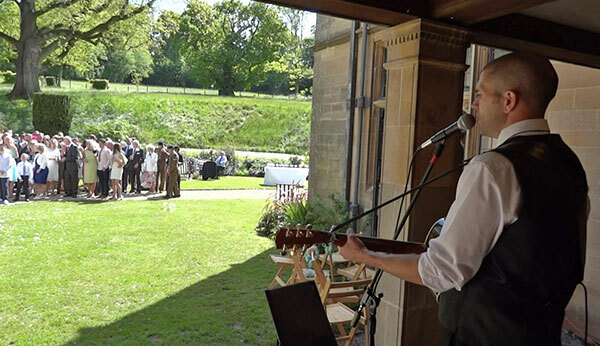 After some background songs as guests arrived and were seated, it was time for the happy couple’s big moment! 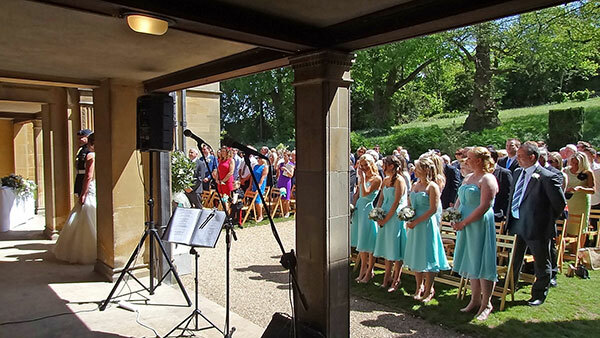 Vicky chose “Can’t Help Falling In Love” by Elvis as her entrance song to the ceremony. During the signing of the register I played “Better Together” by Jack Johnson and a special request by the bride & groom: “I Swear” by All 4 One. They exited the ceremony on a high with the brilliant “Signed, Sealed, Delivered” by Stevie Wonder. 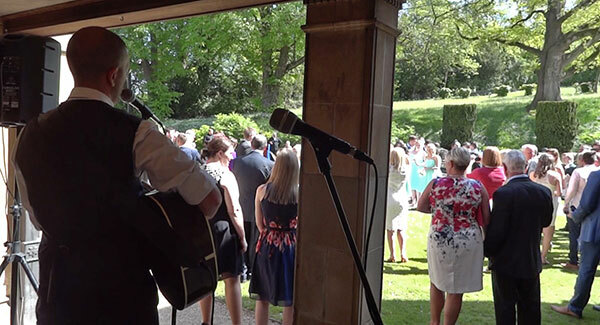 This entry was posted in News, Wedding Guitarist Blog and tagged acoustic, Bristol, ceremony, entertainment, guitar, guitarist, live, live music, music, musician, performance, reception, singer, singing, venue, wedding, weddings by Pat McIntyre. Bookmark the permalink.